Monster Hunter: World players will soon get the opportunity to dress up their Palico ally in a very nostalgic bit of armor. 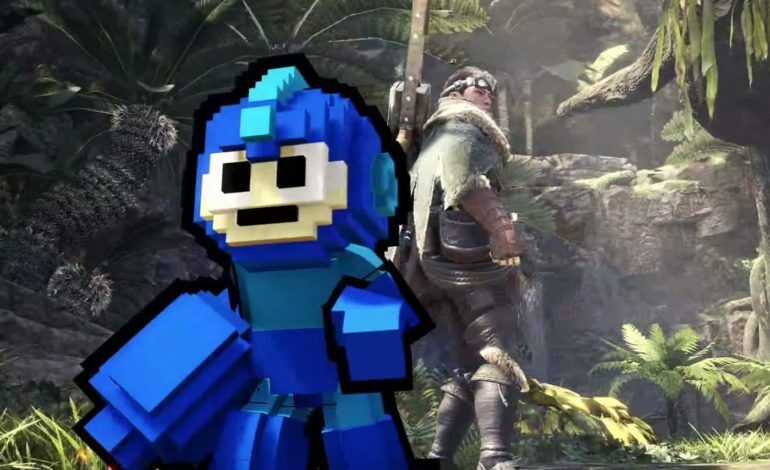 The newest collaboration event in Monster Hunter: World brings the Blue Bomber, more commonly known as Mega Man, to the Monster Hunter universe. This marks the first collaborative event for the PC version of Monster Hunter: World. Starting October 19, players will be able to engage in a new quest titled ‘A Rush of Blood’, a nod to Mega Man’s robotic dog companion Rush. This 7-star quest pits players of Hunter Rank 13 or more in a 1 vs. 2 battle against Odogarons, the big red dog of the Monster Hunter games. One of them may be just the size of a puppy, but it’s still a nasty fight for the unprepared. In an interesting twist, the music that plays in the quest is one of several classic Mega Man tunes, and the music changes depending on what type of weapon the player has equipped. Those who survive against the Odogarons earn special event tickets that can be traded into the Armorsmith for some special old-school Mega Man armor and a Buster Cannon that your Palico can wear. The quest isn’t too long, clocking in at about ten minutes, and can be repeated to earn one or two tickets each run. So even those players who have a big backlog of event quests shouldn’t have to spend too much time in order to get their Palico dressed for the occasion. For those playing on consoles, this isn’t the first new collaborative event to happen in Monster Hunter: World. Previous promotional events allowed players to obtain a Ryu skin from Street Fighter or wear Aloy’s outfit from Horizon: Zero Dawn. The Mega Man event starts October 19 and ends November 2. Even if you miss it, there’s a good chance it’ll come back next time the Spring Blossom Festival rolls around and brings back old promotional quests.